Moving to another country is a big deal. This process takes lots of time and involves a number of decisions, including the selection of the right moving company. You want a team of experienced movers offering high-quality international furniture shipping services at a reasonable price, right? Fine Art Shippers can be the solution you are looking for! First of all, we have been helping people move overseas since 1995 and know all the ins and outs of this huge process. Secondly, we are proficient in packing and shipping items of any kind, from fine art and antiques to home appliances and furniture. Finally, all our services are available at very competitive rates, making them accessible to everyone. 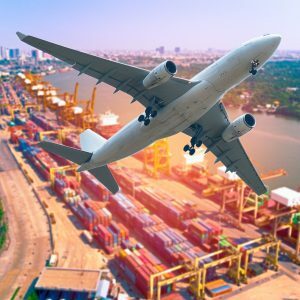 Sea & Air International is another good choice if you are looking for affordable international furniture shipping services in NYC. Sea & Air International is a full-service mover headquartered in New York City, with offices in Secaucus (New Jersey), Silver Spring (Maryland), Sunrise (Florida), and Los Angeles (California). This company has been providing international furniture shipping services and custom designed moving solutions since 2001, offering the highest level of professionalism and customer satisfaction. Moreover, just like Fine Art Shippers, Sea & Air International is an experienced art shipper, meaning that you can entrust this company to ship your most valuable possessions, including large oil paintings and antique furniture in any condition. Sea & Air International always takes complete responsibility for any shipment, no matter big or small. Very recommended!